Share the load with our team of Virtual Assistants. We’re here to help you with your marketing strategy, social media management, blogging, email marketing, website design and more. 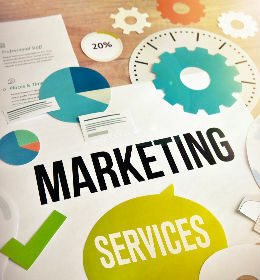 Need affordable Marketing Services support? Get Ahead VA helps businesses of all sizes. Don’t let running your business get on top of you! Use Get Ahead VA and you can choose the marketing support services you want and the hours you need. From help with a single activity to help you through a busy patch to ongoing marketing support with blogging and social media management, Get Ahead VA is here to help you and your business thrive. We’ve helped SMEs cover seasonal peaks in demand, maternity leave and sick leave. And we help successful business owners who have too much on their plates to do on their own but who aren’t ready to employ anyone just yet. Get in touch to see how we can help you. Your Virtual Assistant can work from home, serviced offices or your offices and manages projects themselves, ensuring your project is delivered to the highest quality and within agreed timescales. Need a helping hand with your admin? Get Ahead VA also offers a full range of Business Support Services. Too busy to do your social media? Not really sure what to say, how to say it or how often to say it? Let our Social Media team do it for you! Use the power of Public Relations (PR) to raise your profile within your industry and on a wider scale. You know how essential online marketing is for your business, even though it can be a time-consuming. We can take care of it for you! Build your business on a solid WordPress platform with website design, build and hosting from Get Ahead VA.
Our expert bloggers can help to fill your website with interesting content that showcases your experience and expertise. Our experienced graphic designers can create anything that your company requires and will make sure that your designs stand out.